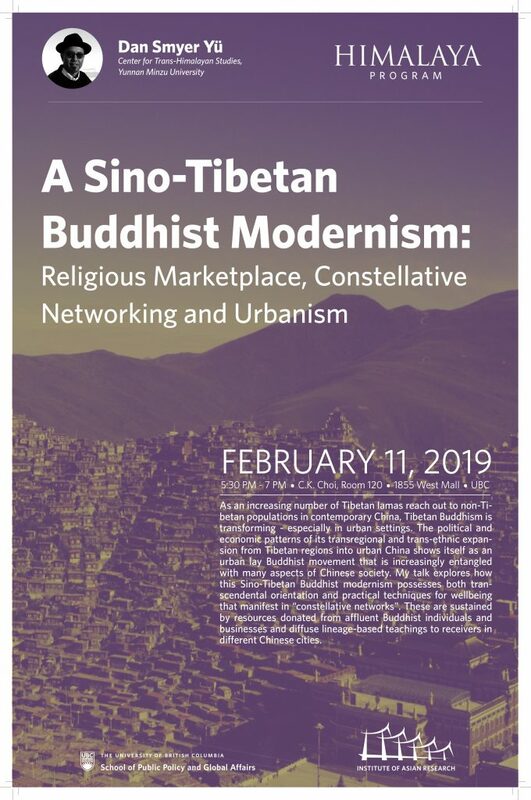 As an increasing number of Tibetan lamas reach out to non-Tibetan populations in contemporary China, Tibetan Buddhism is undergoing various transformations especially in urban settings. As its engagement with many aspects of the Chinese society, such as higher education, social morality, philanthropy, environmental conservation, and modern science, the pattern of its transregional and trans-ethnic expansion shows itself as an urban lay Buddhist movement. Based on the speaker’s ethnographic work, this talk discusses how the politics, economics, and practices of Tibetan Buddhism are deeply entangled with each other in contemporary Chinese society. Situated in this sociopolitical context, this talk, by treating Tibetan Buddhism as a world religion, argues that a Sino-Tibetan Buddhist modernism emerges in urban China as a Buddhist urbanism possessing both transcendental orientation and worldly function regarding the Buddhist sense of enlightenment and practical techniques for human worldly wellbeing under the fast changing, precarious conditions of livelihood making in contemporary China. The organizational manifestation of this Sino-Tibetan Buddhist modernism is what the spaker calls the “constellative networks,” which, sustained by material resources donated from affluent Buddhist individuals and businesses, diffuse the lineage-based Buddhist teachings from Tibetan regions to its receivers in different cities of China.